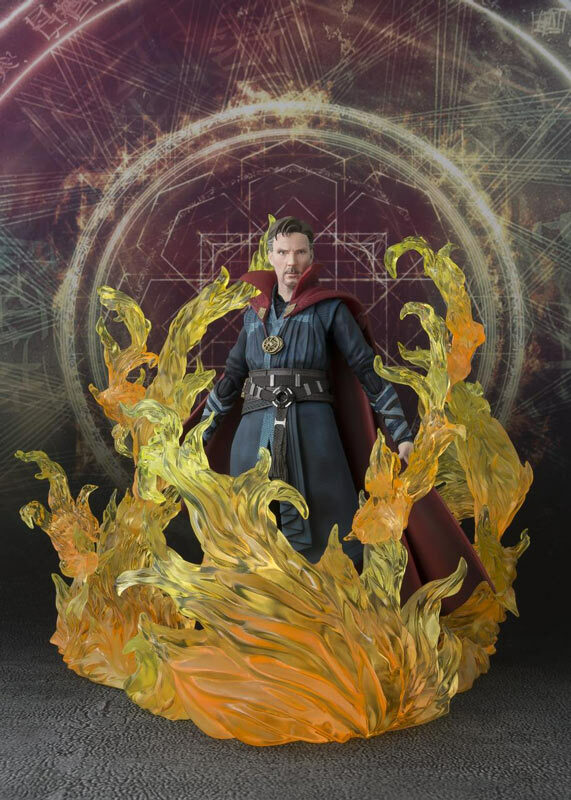 The US release of the S.H.FiguArts Doctor Strange action figure will have an exclusive burning flame accessory. A while back, we started seeing teaser images of the S.H.FiguArts upcoming Doctor Strange figure, based off of Benedict Cumberbatch’s portrayal of the good Doctor in Marvel’s recent Dr. 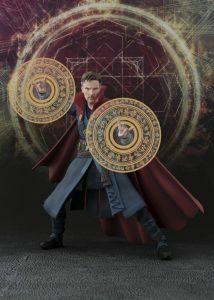 Strange. 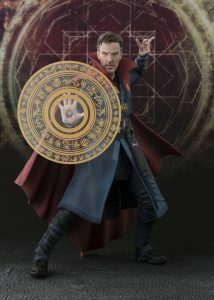 (Which, let’s be honest, was a great portrayal, and absolutely worthy of an awesome figure. Also, sidenote, I’m listening to Michael Giacchino’s fabulous Doctor Strange score as I write this. 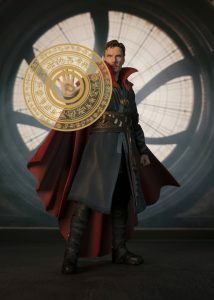 That man writes awesome music!) 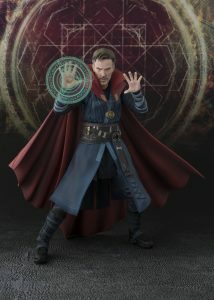 And now, in addition to getting the details on the US release of the figure, we’re also getting an exclusive accessory. So, what’s in store for the Doc? Let’s get into the details. How Tall Will the Figure Be? 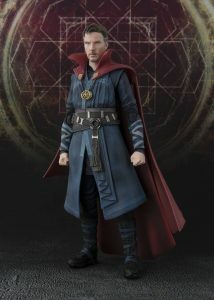 From what I can find, the figure will be 1/12 scale, or 6 inches (15.25 cm) tall. What Accessories Will the Figure Have? 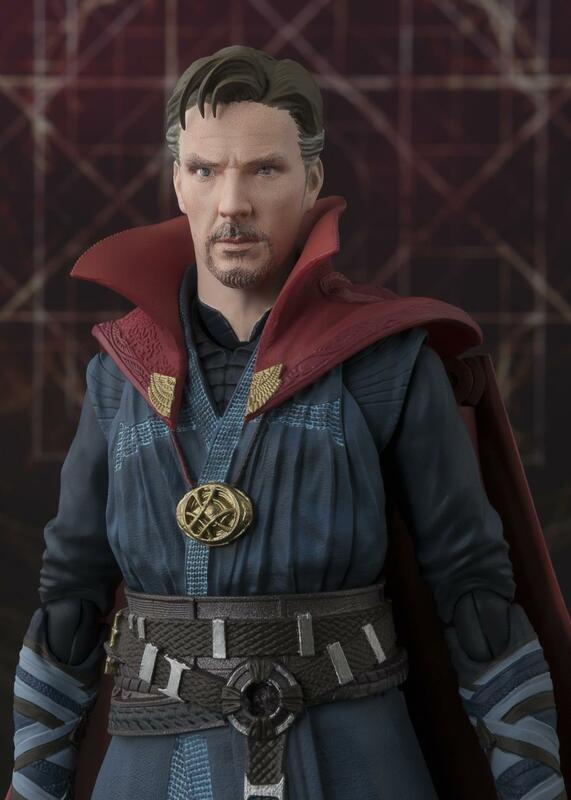 The Doctor will come with (as best I can tell) two interchangeable heads that feature face sculpts and paint using Tamashii Nations digital coloring technology. 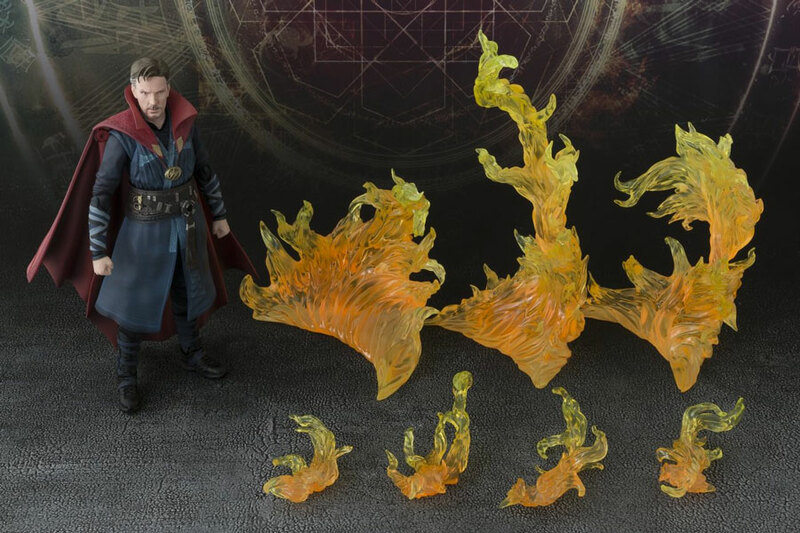 In addition, the figure will have 8 interchangeable hands (4 left and 4 right), interchangeable hand parts for effects (left and right), two large and two small effects, and a 7 part burning flame effect that is exclusive to the US version of the figure. The flame effect will have three larger stationary parts and 4 smaller attachable parts. 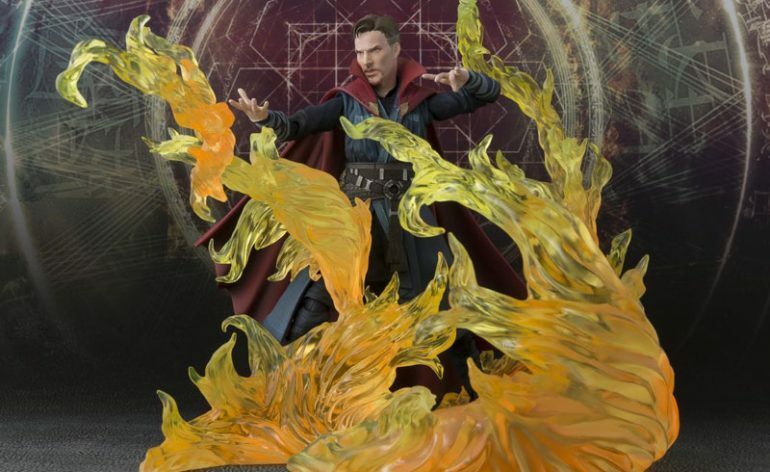 From the photos, it looks like it can be put together into one big, very cool looking flame. And How Much Will the Figure Cost, And Where Can it be Pre-Ordered? 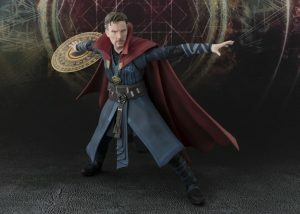 The figure is being priced at $84.99, and can be pre-ordered over at Amazon. 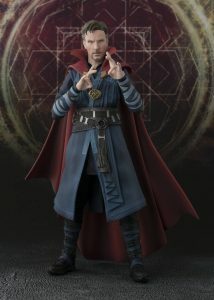 And When will the S.H.Figuarts Doctor Strange Action Figure Be Available? The figure is currently scheduled for release on July 25, 2017, which should give you more than enough time to prepare a place of honor in your collection for this awesome figure.